According to a rumor making the circuits today, a Google Chrome OS tablet is set to debut on Verizon on Black Friday, just a few months off. DownloadSquad posted a rumor yesterday that, if true, could make for one of the biggest launches of the year. That’s a big if, but I’ll get into all the skepticism and reiterations of the grain of salt cliche later on. First, let’s talk tablets. Google‘s Chrome OS has been a bit of a mystery, and that’s coming from someone who was actually at the event where the thing was announced. It’s an interesting idea, fundamentally different from other low-powered OSes like Apple‘s iOS and Google‘s own Android. In Chrome OS, the browser is everything. Music, email, news, social networking, video, photos, calendar, documents, books–in Chrome OS, the browser takes care of all of that. Instead of apps, like on iOS and Android, you’ll have “web apps,” which are essentially bookmarks. Think about how many things your browser does now, compared to a few years ago. It’s not uncommon to have little more than a browser and a music player installed on a computer these days–and the latter could be incorporated fairly easily with software like MOG or Spotify. It’s a forward-thinking idea, one that may not even be wrong for tablets. After all, Google’s own services are almost exclusively accessed from the browser, and new innovations like HTML5 extend what the browser is capable of. But with Android’s rapid maturation into a competitive and excellent OS, it became less and less clear what exactly the point of Chrome OS is. 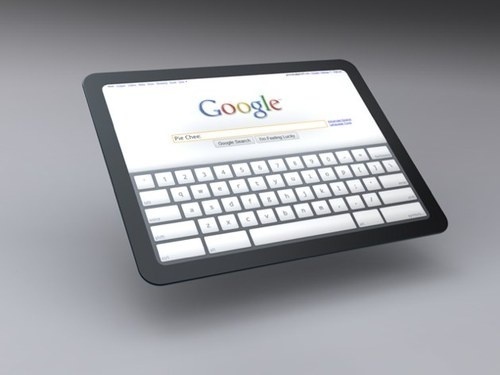 The iPad showed that a mobile OS translates quite well to a tablet–why not just release an Android tablet instead? According to the rumor, we might find out exactly that in November. Allegedly, the first Chrome OS tablet will be built by HTC and released with a 3G plan on Verizon on Black Friday, November 26th. It’s a reasonable rumor for a few reasons. Black Friday is a ballsy and sort of inconvenient day to launch such a prominent product, but it’s not out of the range of possibility. HTC and Verizon are exactly the partners you’d expect: HTC has been a reliable friend of Google since day one of Android, and Verizon is Google’s new best carrier buddy (sometimes scarily so). How about some buzzkilling skepticism? The rumor comes from an unnamed source who offered little other information (specs would have been nice, for one thing), and DownloadSquad engaged in some questionable rumormongering in the post (the tablet will be free? It’ll support LTE? Says who?). Plus, on a basic level, Chrome OS was designed for a trackpad and keyboard–netbooks, essentially. I haven’t seen a recent build in some time but Chrome OS was never a particularly finger-friendly (and thus tablet-friendly) OS. I want to believe the rumor. I think Chrome OS is a really exciting and interesting concept, and an HTC-built, Verizon-supported tablet would be a sight to see. The rumor is plausible, but until I see some good hard evidence, I’ll keep consistently thinking about–and then not–buying an iPad.